Include your car rental online reservation in your early holiday plans. Making your reservation ahead you guarantee car hire availability and lower prices, when you arrive your Rented Car will be delivered by a selected car hire company with friendly professional staff providing a quick and hassle free service. At the airport you will receive your car at the airport car park with no need to take any courtesy bus to outside depot. 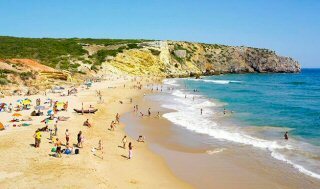 If you prefer we will deliver your Zavial car hire to your accommodation in Zavial or anywhere in the Algarve. And of course we are in the ground 24 hours a day to give you any assistance you may need. Everything you need to have a happy free driving holiday in Zavial: Fast professional car hire delivery service, new well conditioned rental cars, unlimited kilometers, CDW and Third Party Insurance included, national taxes, no hidden fees, 24 hours assistance.